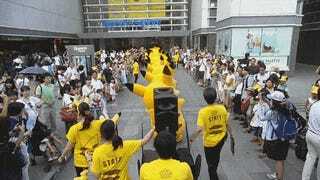 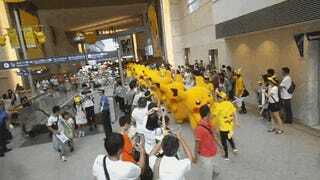 Like last year, another big Pikachu event was held in Yokohama, Japan. 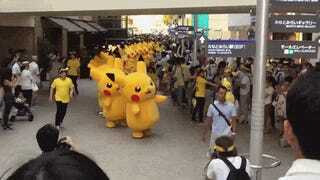 As with at other Pikachu parades, the synchronized marching was a sight to see. 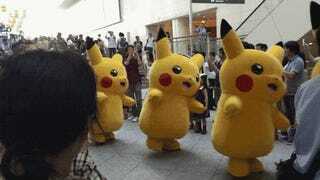 Impressive precision for people in Pikachu costumes. 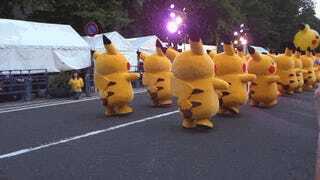 Listen to the whistle keep them all in lockstep. 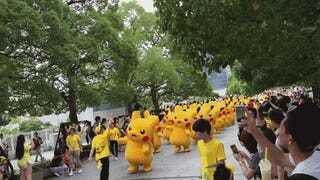 This could only be improved by one thing: The Imperial March.